age-related changes, caused by ageing processes in the body. Ginkgo biloba extract 24%, centrolex F, vitamin mixture (vit. E, B1, B2, B5, B6, B9, B12, C, nicotinamide, D-biotin). Ginkgo biloba is a natural source of biologically active compounds – flavone glycosides (with powerful antioxidative properties) and terpenlactons (anti-inflammatory effect), providing favorable effect on the most important systems of the human body – the brain and the blood circulation. Ginkgo biloba promotes improvement of microcirculation, penetrates through hematoencephalic barrier and improves capillary blood flow, provides for oxygen supply to the myocardium and the brain and improves transmission of nerve impulses in cells. It stimulates memory and mental activity. Phospholipids (centrolex-F) are structural elements of cell membranes, participating in transport of fats, fatty acids and cholesterol, transmission of nerve impulses, regulation of blood clotting process, immune reactions, as well as in process of tissues regeneration. Phospholipids have expressed antioxidative effect; they reduce formation of highly toxic free radicals in the body, which damage cell membranes and contribute to development of such age-related illnesses, as atherosclerosis, cancer, essential hypertension, diabetes mellitus etc. Among all the types of age-related pathology free radical oxidation is a leading one, and this is exactly its intensity, on which it depends, how soon this or that age-related disturbance shall occur. 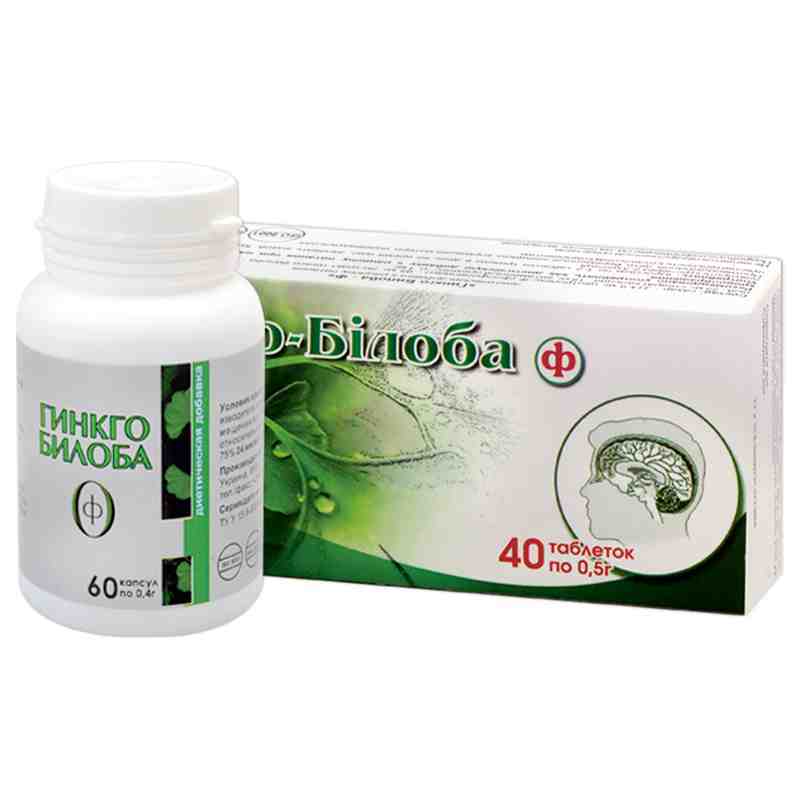 They are applied in complex therapy of cardiovascular diseases (coronary heart disease, angina, status after heart infarction and stroke, cerebral and peripheral blood circulation disturbance, essential hypertension, arteriosclerosis, diabetic angiopathy, thromboembolism prevention before surgery), prevention of premature ageing. Vitamin mixture (vit. E, vit. B1, B2, B5, B6, B9, B12, C, nicotinamide D-biotin) acts as a catalyst of numerous biochemical processes in the human body; it provides for improvement of immunodefence, reduction of impact of aggressive environmental factors. Adults take 1-2 capsules/tablets thrice a day with food, wash down with water. Term of use is 1 month, repeat in 2-3 months. Proteins – 13.0 g, fats – 0 g, carbohydrates – 66.8 g.
0.4 g capsules N60, 0.5 g tablets N40 and N80.